Will be a pretty brief one today since it was mostly travel. I left you last night after a busy day in Kanazawa. Today I said goodbye to my lovely host and jumped on a train bound for Nagano. 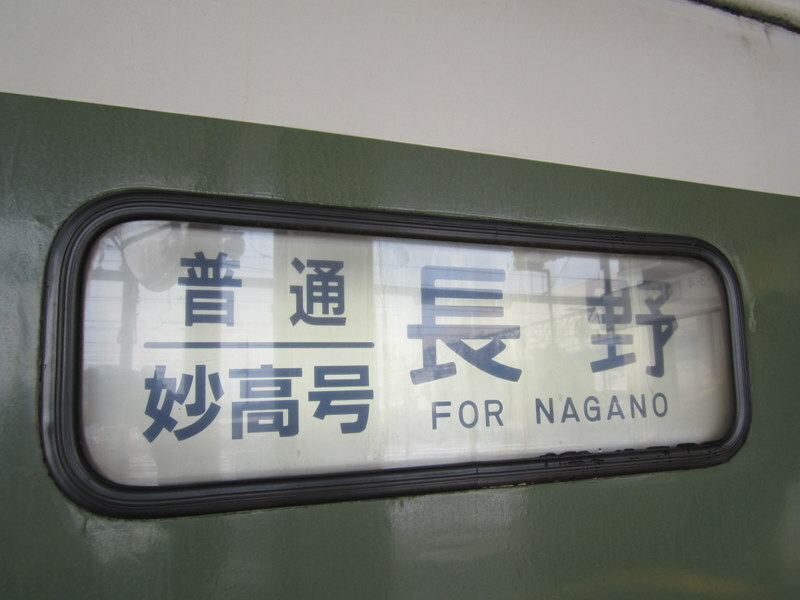 Well, it was two trains… a 2 hour journey to Naoetsu, then switch trains for another couple of hours to Nagano. My stop was an hour in Naoetsu, which I thought would be fine given the proliferation of shopping centres and good eating places at train stations. Well, we’ll get to that. What I completely forgot was how close I was to the Sea of Japan. Kanazawa is close to the coast and I didn’t even think which way I would be going. Within no time at all I had the sea on my left and snow covered mountains on my right. It was amazing. In fact the whole journey was great. I expected to be head in a book (or Kindle as it were) but I was transfixed by the journey. Which gets me to Naoetsu. Unlike every other train station I had visited, Naoetsu was not much really. A kiosk and some seats to wait on. And that was it. However, every cloud has a silver lining. What was it? C’mon… you can guess. Yep, Kit Kats! 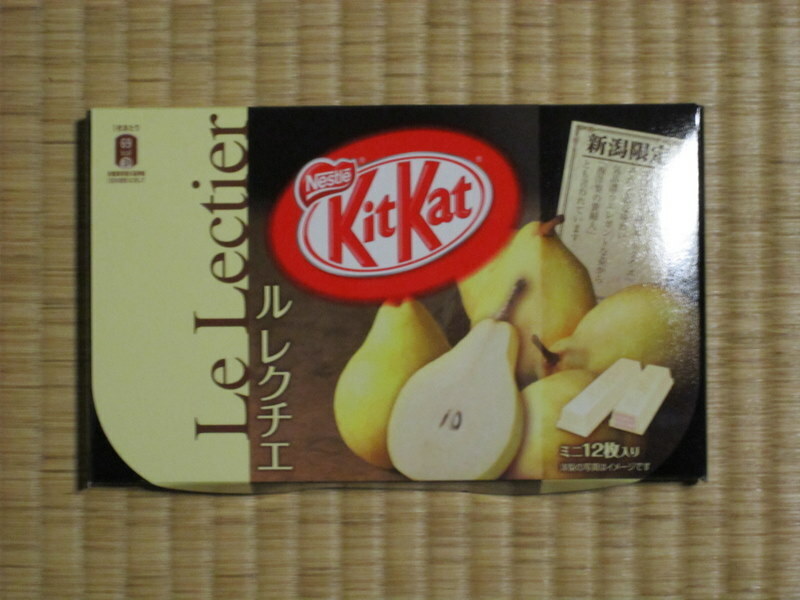 I was in a new prefecture which meant new Kit Kat! And this was the only place I would see them on my travels. Pear flavour. I think I had had it before, but had to buy them. And how are they? Peary. Not my favourite, but not the worst. The next leg was more gorgeous scenery, although this was an old school local train that did a lot of stopping, so this dragged a little. 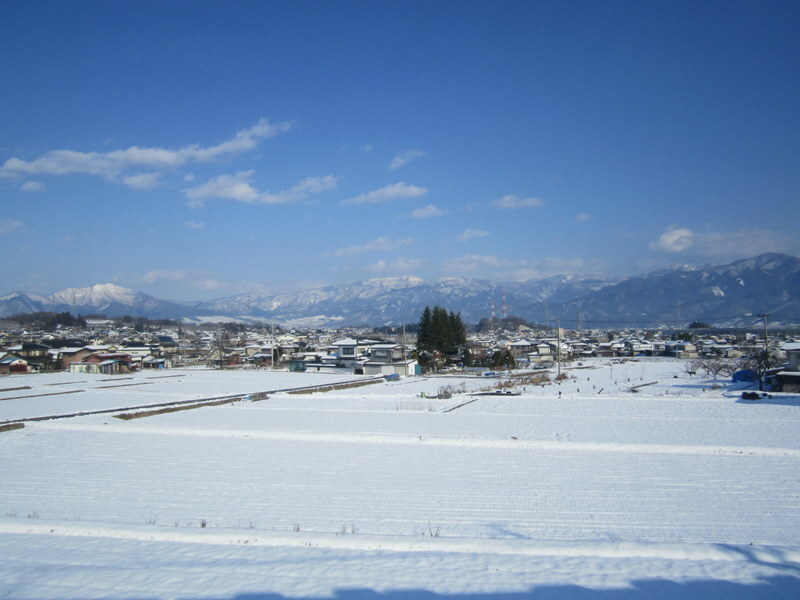 But by about 3pm I was in Nagano. After a visit to the Tourist Info centre it was off to my lodgings. Now I knew it was a Ryokan (traditional japanese lodgings) I was staying in, but I also knew that I found it on Hostelworld and that it was on one of the main streets. So I didn’t expect it to be a proper one. 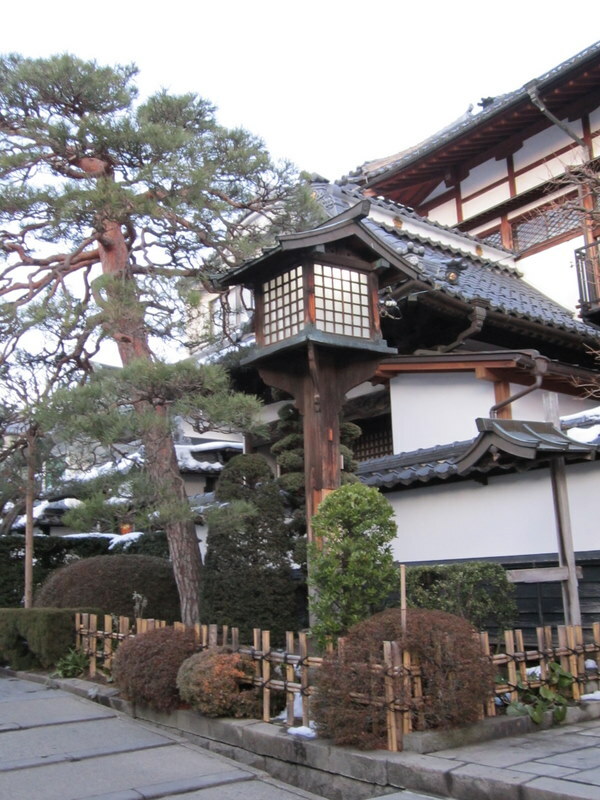 Now it is not a formal Ryokan, but boy is it great! I was greeted by the old owners who showed me to my room and served me tea. The building itself is gorgeous inside… lots of old creaky wooden stairs leading every which way. 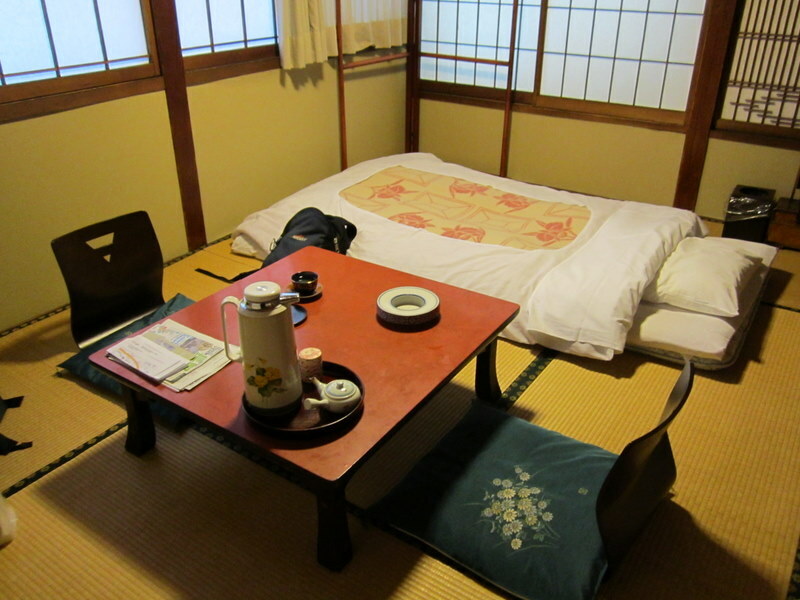 And my room was old school with tatami mats and sliding doors… quintessentially Japanese. 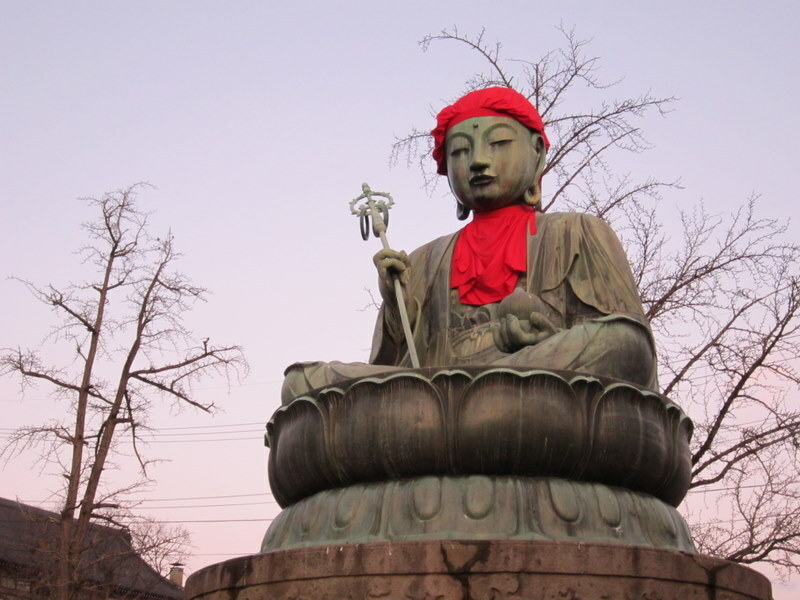 It was a bit after 4pm by the time I had settled in, so not much time for things, but I decided to wander up to nearby Zenkoji Temple, which is highly regarded. I was thinking, oh OK, another temple. But this was great. Unfortunately it was getting dark by the time I got there and things were closing up, but what I loved was all the little shrines around it, including some ryokans that were part of the complex. Now that would be a place to stay. 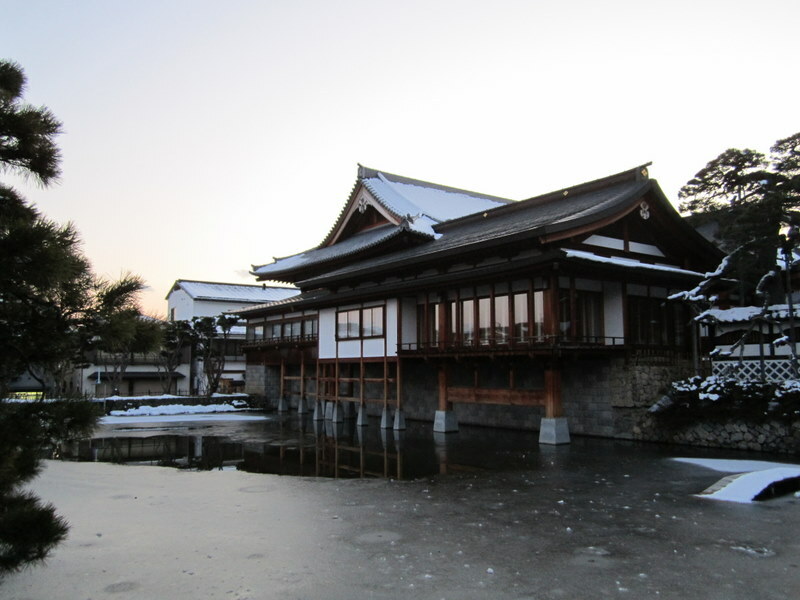 Like the castle in Kanazawa, the snow added a different vibe to the place too that Kyoto didn’t have. Lots of little statues around too making it quite gorgeous. The snow didn’t hurt either. So with that it was a wander to eat and back to the ryokan. On the way I found some Nagano specialty… Apple. 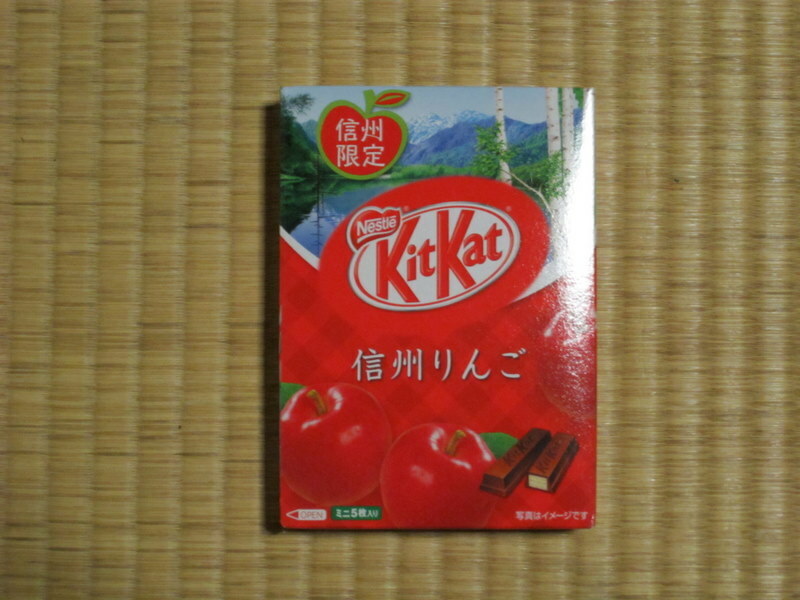 Now I have had apple Kit Kats before and wasn’t sold on them, but got some anyway. Chili Kit Kats are also plentiful here. As it turns out the ones I got from Tokyo are indeed Nagano specialties. Well you learn something new everyday. First impressions of Nagano are interesting. It seems like a nice place actually… feels like you are near the snow. But it also is lacking people strangely. I thought the place might be busy with tourists and snow folk, but the streets were quite quiet, and even all the shops seemed to be closing up about 5 or 6pm. Maybe everyone moves on to stay on the actual mountains. I am a Kit Kat loving American living just outside of Tokyo. I just started a blog about my Kit Kat hunting experiences here in Japan, and thought that I would see how many others may be doing the same. That is how I found your blog. I haven’t had a chance to go back through all your blog posts, but I do get the distinct impression that you are visiting in Japan and not living here? Do you keep up with Japanes Kit Kats when you are not in the country? My family was wondering if there may be a chance you would be coming near our area when you return to Tokyo. We have several duplicate varieties from earlier in the year that we would be willing to share (and I do mean “share” not sell.) if any of them would fill gaps in your Kit Kat experience. If you are interested, we can first try and figure out what I may have that would help you. We would love to meet a fellow Kit Kat enthusiast! Meeting up probably won’t be on the cards as I am only in Tokyo fleetingly before I leave for back home, but will drop you an e-mail to let you know about what Kit Kats I have found so far and where I got them! Another great day of travelling Matt. 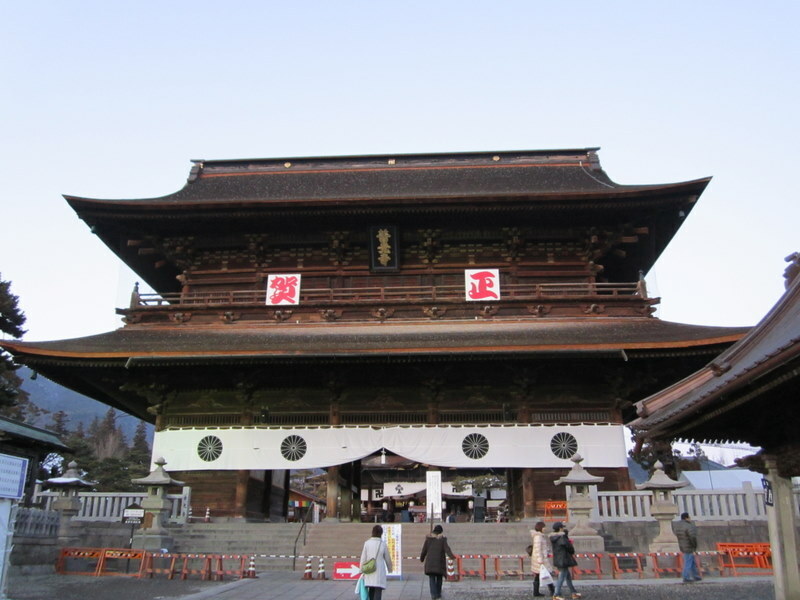 Nagano, one place in Japan　i have not been yet. Will have to check it out one day. Ayako & I have been sick the last few days, will let you know all about it when we see you next. Enjoy the good times!! !